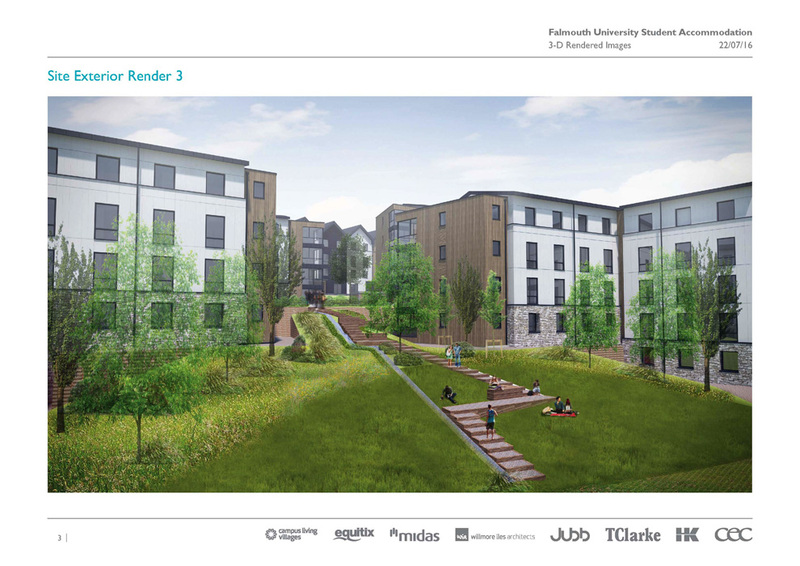 Building on successful earlier collaborations, Midas approached CEC to join their bid team seeking to secure the contract to build a multi-million pound high profile Student Accommodation development of 1049 bedrooms, within the Falmouth University Campus in Cornwall. 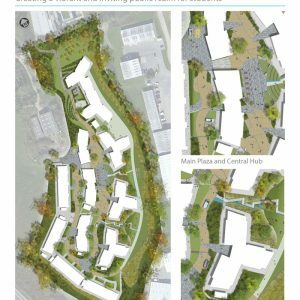 As part of its role, the CEC team undertook ecological surveys and mitigation, landscape masterplanning and design, as well as Landscape and Visual Impact Assessments (LVIA). 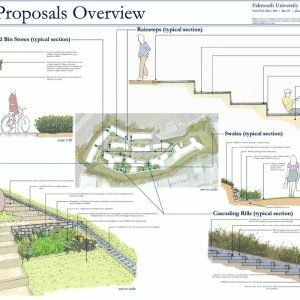 CEC’s ecologists and landscape architects worked closely together with the wider design team to create a proposal that looked to preserve and enhance the biodiversity and landscape assets on site, whilst at the same time creating a high quality environment for students and wildlife alike, within the client’s aspirations, timeframe and budgets. 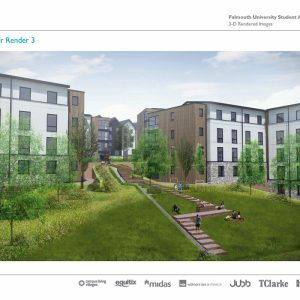 This included attending several meetings with members of the design team and Cornwall Council officers to discuss pertinent issues, and ensuring the County Ecologist’s requirements were met within the design and planning application. 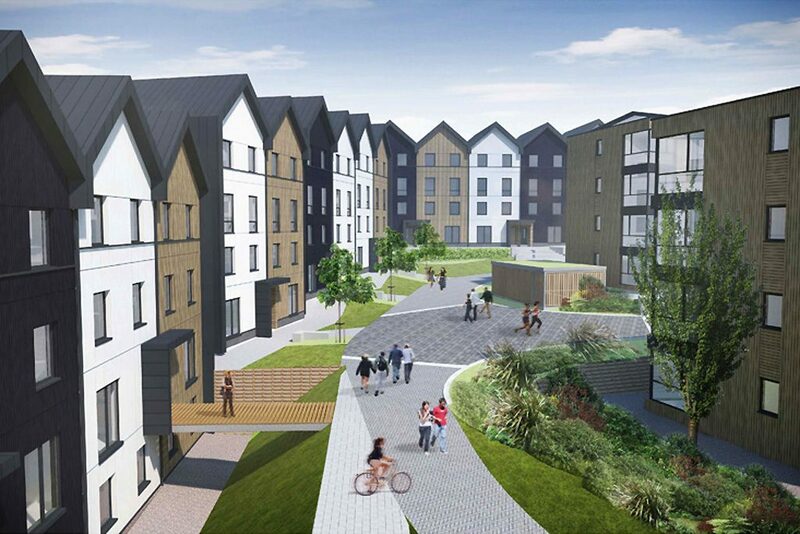 CEC’s ecologists engaged proactively with the design team to ensure the scheme’s design minimised ecological impacts, helping to ensure a successful planning application. 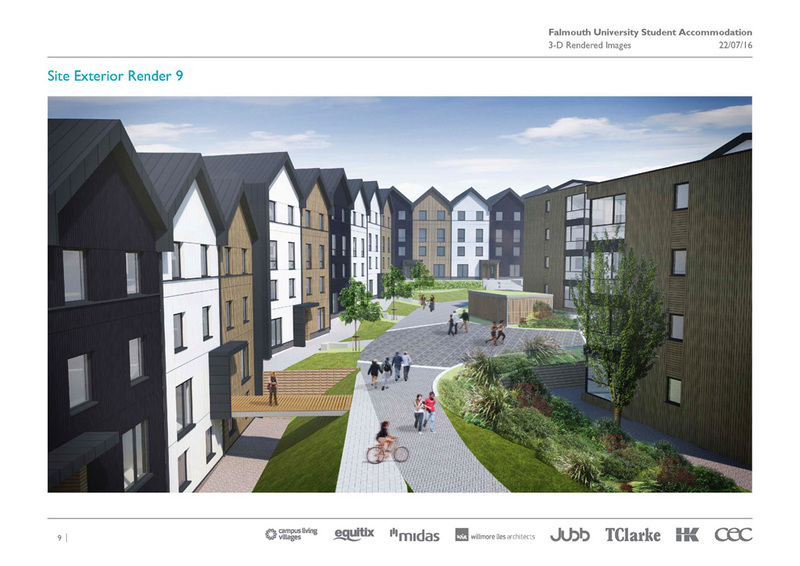 This included liaising with the lighting designers regarding sensitive design of the street lighting, and consideration of light spill from windows. 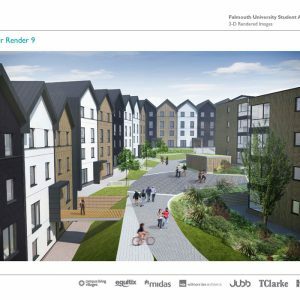 CEC also compiled an Ecological Assessment report to accompany the planning application and undertook a Habitats Regulations Shadow Screening Assessment. 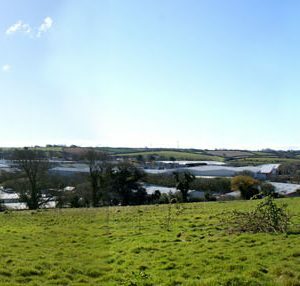 The latter was required due to the site’s location within the 10km zone of influence of the Fal and Helford Special Area for Conservation. 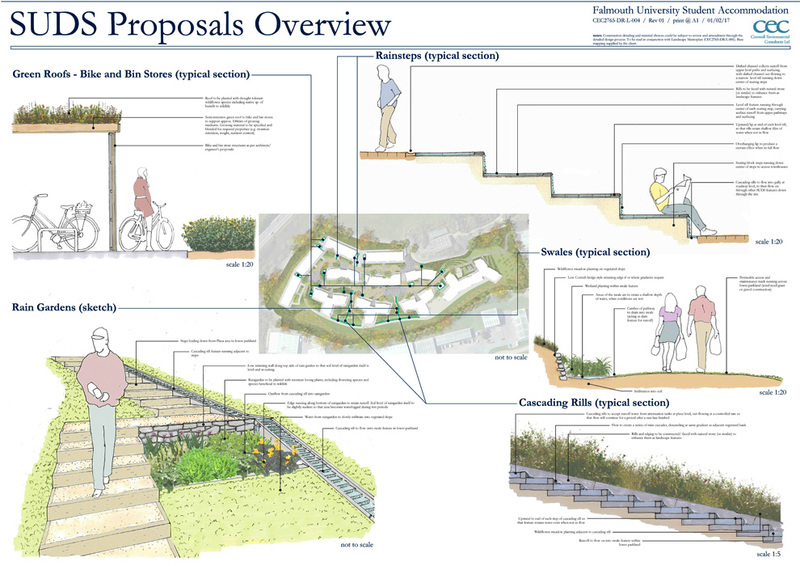 The quality of the landscape masterplan and the ecological mitigation proposals received positive feedback in the Design Review Panel as well as being well received by Falmouth University and CLV as end users and client. 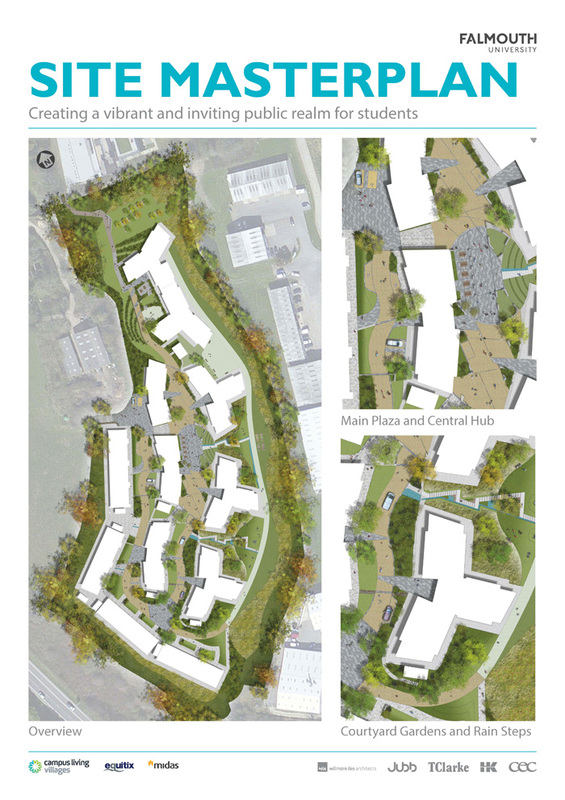 “The CEC team delivered their plans on time every time and responded really well to our needs and the needs of the local planning officer, working proactively and knowledgeably to great effect.